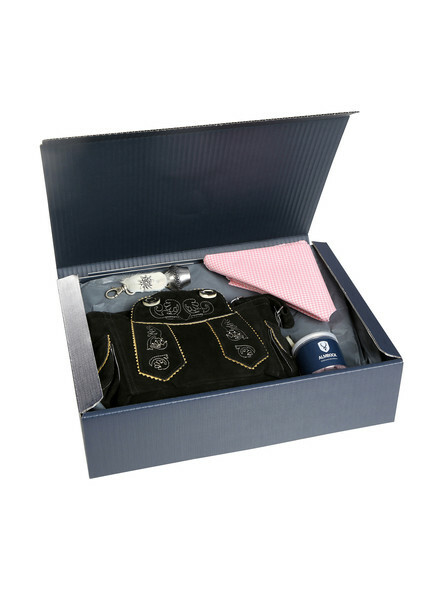 Almbock Traditions Box Women - "Nobel for Spusi"
Almbock Traditions Box Women - "Daschal"
Almbock Traditions Box Men - "Bavarian comfort"
Almbock Traditions Box Men - "Schmieserl"
It´s always difficult to find the perfect gift idea for a special person. 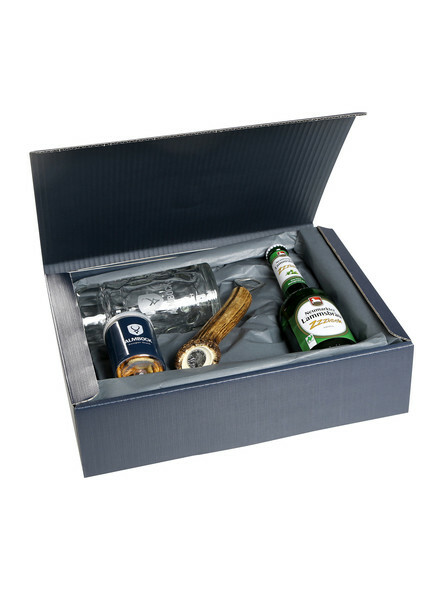 Therefore, we assembled our Bavarian gift boxes for men. This traditional, Bavarian themed gift makes everyone gleam with pleasure ? for sure. 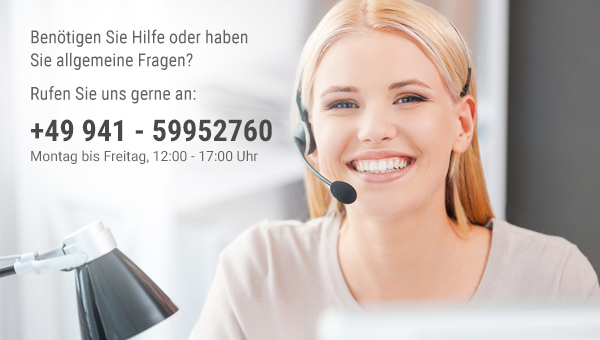 We created our German gift boxes for a large target group ? 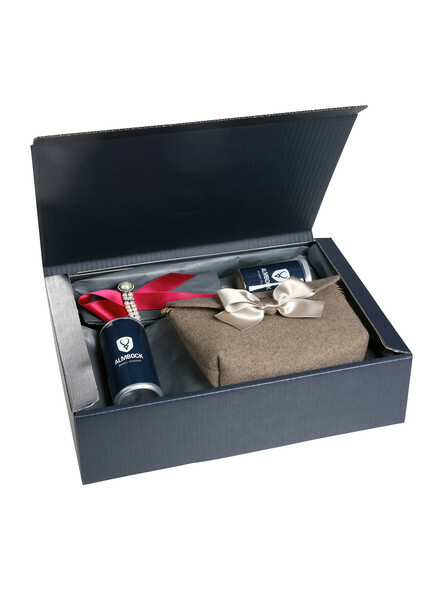 it is a perfect gift idea for him - for your father, brother, colleague or even your father in law. 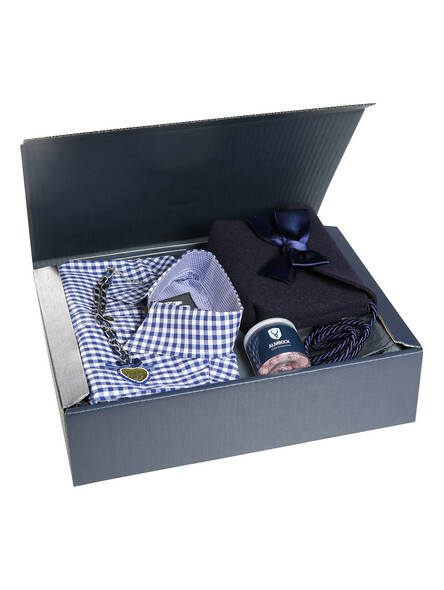 This gift box will definitely be kept in everyone?s mind. 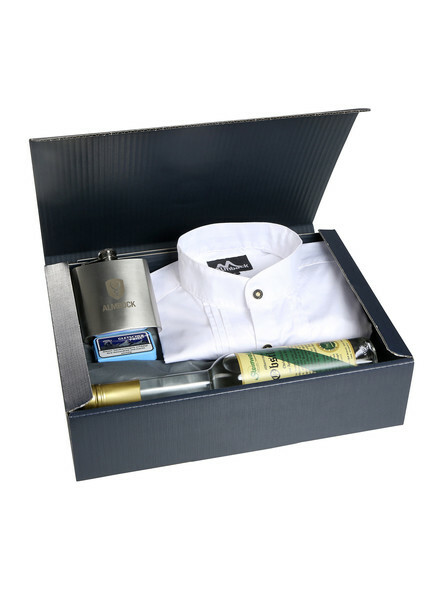 This perfectly composed combination is packed in an exclusive Almbock gift box and ready to be given away. It´s your choice to choose the perfect product combination out of our wide product range. 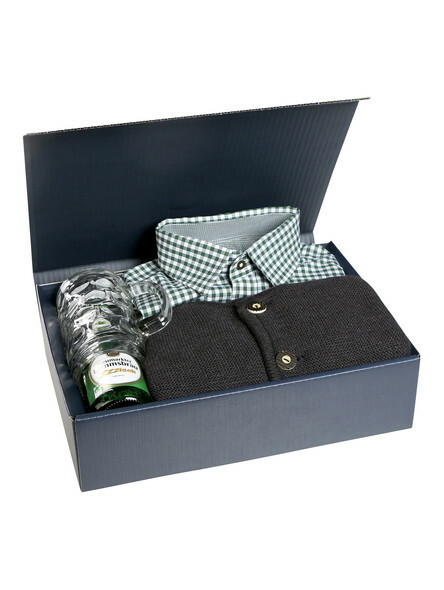 You can combine our typical Bavarian tankard with a traditional coloured shirt ? everyone will completely get his money worth. 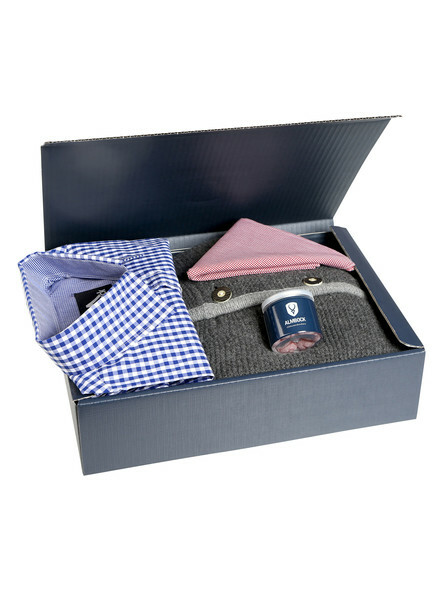 Our awesome gift boxes are a special idea as a Christmas present or an unique birthday gift. 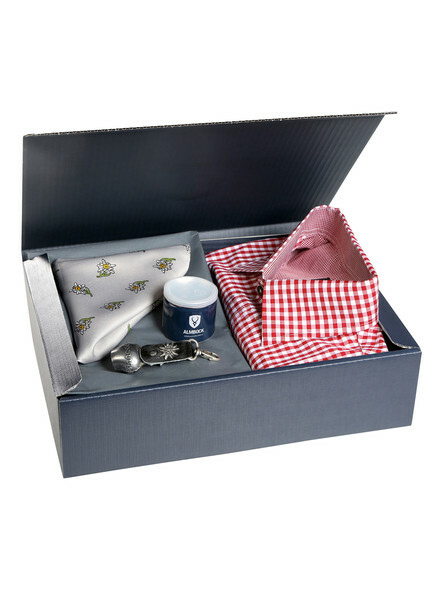 It´s also ready to be given away as a wedding gift or anniversary present - it´s just a perfect box full of Bavarian traditional products and will definitely make every man happy!